Can I Search Deleted Conversations? 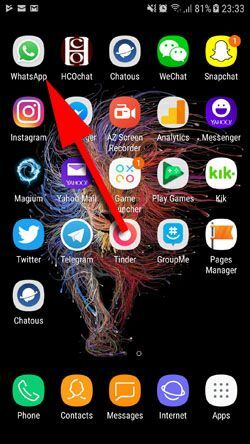 2-) Tap on the search icon which is located top of the application. You can see the picture below. 3-) Tap on the empty search field which will appear after you tap on the icon. 4-) Type the word that you want to search on WhatsApp conversations and take a look at results below. Tap one of the results which takes your attention. 5-) You will see the search content with hovered with yellow color as we have shown in the picture below. 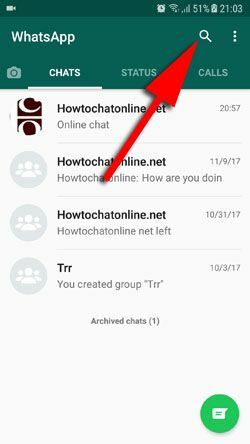 If it is the conversation that you are looking for, it is good but if it is not, go back to main interface of WhatsApp and make the search again with the same steps above and take a look at other results. You can also check our tutorials for iOS too. Unfortunately you cannot search or do anything else for deleted conversations. If you had a backup, you can recover your backup and search any content you want. Searching deleted content is not possible as same as other platforms. 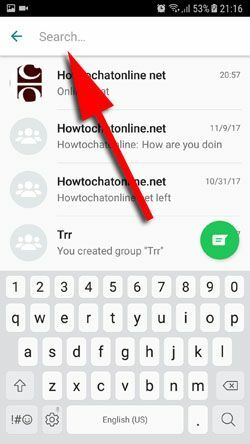 So you will not able to search those WhatsApp conversations if they are deleted.